Diego Cruz has danced principal or featured roles in Tomasson’s Concerto Grosso, Giselle, Haffner Symphony, Nutcracker, Romeo & Juliet (Benvolio), The Sleeping Beauty, and Swan Lake; Balanchine’s Emeralds, Symphony in C, and Theme and Variations; Neumeier’s The Little Mermaid (Shadows); Scarlett’s Frankenstein (Henry Clerval); Welch’s Naked; and Wheeldon’s Cinderella (Benjamin), Ghosts, and Within the Golden Hour. 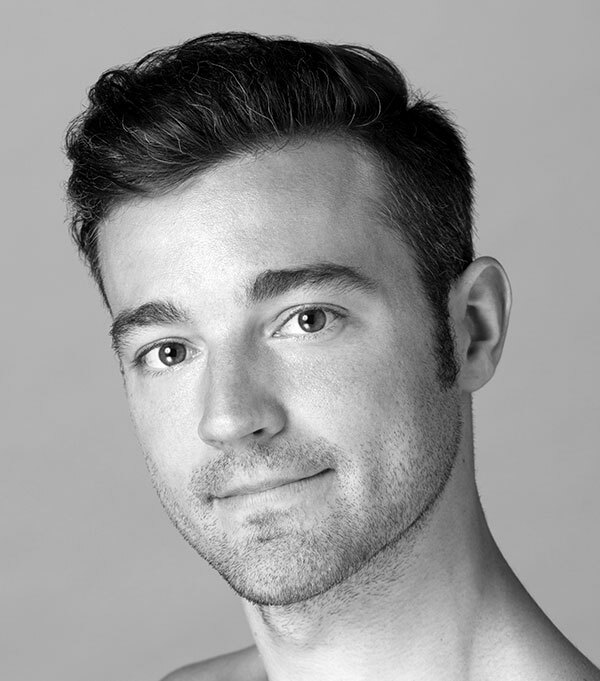 He created roles in Bubeníček’s Fragile Vessels, Forsythe’s Pas/Parts 2016, Peck’s Hurry Up, We’re Dreaming, Pita’s Björk Ballet and Salome, Thatcher’s Ghost in the Machine, and Tomasson’s Caprice. His repertory includes Balanchine’s Coppélia, Diamonds, Prodigal Son, Rubies, and Stravinsky Violin Concerto; Fokine’s Petrouchka; Forsythe’s Artifact Suite; Lifar’s Suite en Blanc; MacMillan’s Concerto; de Mille’s Rodeo; Millepied’s The Chairman Dances—Quartet for Two; Morris’ Beaux, Drink to Me Only With Thine Eyes; Possokhov’s Classical Symphony, Diving into the Lilacs, Firebird, Fusion, The Rite of Spring, and Swimmer; Peck’s Rodeo: Four Dance Episodes; Ratmansky’s Shostakovich Trilogy; Robbins’ Glass Pieces and West Side Story Suite; Scarlett’s Hummingbird; Thatcher’s Manifesto; Tomasson’s The Fifth Season, On a Theme of Paganini, and Prism; Tomasson/Possokhov’s Don Quixote; Wheeldon’s Rush; and Zanella’s Underskin. Diego performed at Fall for Dance at New York City Center in October 2017 and has guested at Gala Despertares in Guadalahara, Mexico; Florida Classical Ballet’s gala in Fort Lauderdale; Gusman Center for the Performing Arts in Miami; the Flower Festival in Cologne, Germany; and the Zaragoza Expo Inaugural Gala. He performed in the 2015 film of Tomasson’s Romeo & Juliet (Lincoln Center at the Movies: Great American Dance).